The Shoshone (also spelled Shoshoni) are Native Americans of the Great Basin region, and south and east of the Sierra Nevada mountain range. Shoshoneans are distributed widely--from Southern California, Death Valley and Mono Lake, through Utah to Western Colorado. Sacajawea, the woman who guided the Lewis and Clark expedition, was a Utah Shoshone. While the beliefs of other Shoshonean tribes are fairly well documented, there is little published information about the mythology of the Great Basin Shoshone per se. This collection reveals that the Western Shoshone, who lived in central Nevada, were very similar to the Northern Californians in this regard. Their myths are inhabited by the lusty trickster Coyote, and other primordial zoomorphic demigods. These myths were procured from several Shoshoni of Nevada and eastern California and from one Northern Paiute during 6 months' ethnographic field work  in 1935. They by no means exhaust the western Shoshoni mythological repertory, but, as this enormous area has heretofore been a blank on the ethnographic map, any material from it should be recorded. The myths were recorded from the following localities and informants: Saline Valley, between Death Valley and Owens Valley, Calif.; Patsie Wilson, Shoshoni (now at Lone Pine), age about 50, informant; Andrew Gleim, interpreter. Panamint Valley, Calif.; George Hansen, age about 90. 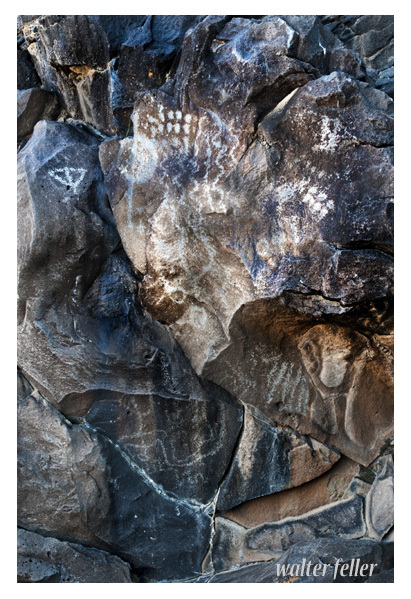 Upper Death Valley, Calif.; Bill Doe, Shoshoni (now at Beatty, Nev.), age about 70. Beatty, Nev.; Tom Stewart, Shoshoni, age about 70. Ash Meadows, Nev., where Shoshoni and Southern Paiute were somewhat mixed, but myths claimed to be Shoshoni; Mary Scott, age about 80. Lida, Nev.; John Shakespeare (now living at Cow Camp, near Silver Peak, Nev.), Shoshoni, age about 80. Big Smoky Valley, Nev.; Jenny Kawich (now living at Shurz, Nev.), Shoshoni, age about 65; these myths poorly remembered and very synoptic. Smith Valley, Nev., Tom Horn, Shoshoni, age about 60. Elko, Nev.; Bill Gibson, Shoshoni, age about 60. Winnemucca, Nev.; Charlie Thacker, Northern Paiute (now living at Owyhee, Nev.), age about 70. One myth is from the Gosiute (who are really Shoshoni), procured in 1936 while doing field work for the Bureau of American Ethnology; informant, Müdiwak, age about 60. There are few tales in this collection that are actually new. The themes, episodes, characters, and style are very similar to myths from Owens Valley and western Nevada, Paiute, from Owens Valley Shoshoni, from Ute and Southern Paiute, and from the Northern Lemhi Shoshoni. Novelty lies only in local combinations of widespread elements and in local embellishment. Therefore, as the most interesting feature of Shoshonean mythology is local variation, an effort was made to obtain different versions of the same tale. From this standpoint, I was most successful in the Origin of People, procuring seven variants from as many localities [ed]. The Theft of Fire, the Theft of Pine Nuts, Coyote Learns to Fly, and Cottontail Shoots the Sun are also popular, wide-spread themes. The Race to Koso Hot Springs is an Owens Valley Paiute favorite. Other myths were collected at random. Personal songs, sung by prominent myth characters, as in Owens Valley tales, seem to have been a general, though not important, feature of Shoshoni myths, but no effort was made to collect them. 1 This work was financed by the Department of Anthropology, University of California, and a grant-in-aid from the Social Science Research Council. 2 Steward, J. H., Myths of the Owens Valley Paiute, Univ. Calif. Publ. Amer. Archaeol. and Ethnol., vol. 34, No. 5, pp. 355-440, 1936. A few Shoshoni myths are recorded in the same, pp. 434-436. See also, Ethnography of the Owens Valley Paiute, same series, vol. 33, pp. 323-324, 1933; also, Lowie, R. H., Shoshonean Tales, Journ. Amer. Folk-Lore, vol. 37, pp. 1-242, 1924, and The Northern Shoshone, Amer. Mus. Nat. Hist., Anthrop. Pap., vol. 2, No. 2, pp. 233-302, 1909; also, Sapir, Edward, Texts of the Kaibab Paiutes and Uintah Utes, Amer. Acad. Arts and Sci., Proc., vol. 65, No. 2, pp. 297-535, 1930.
ed: Some variations of several stories have been omitted from this version.